A house in Grande Prairie caught fire for a second time in under one year on April 1, 2017. William Vavrek. A house under construction following a fire in August, 2016 caught fire again early Saturday morning in Grande Prairie. 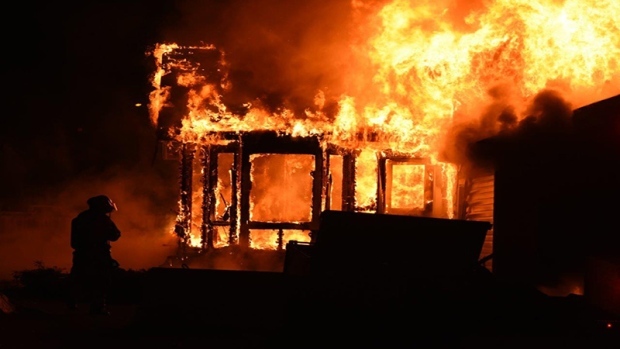 The Grande Prairie fire department responded to a structure fire in the area of 92 Street and 95 Avenue at around 3 a.m. The house was being rebuilt after a fire on August 13, 2016, and it was completely destroyed for a second time – except for the garage. No one was injured during the fire. The fire is under investigation and a cause has not been determined, Grande Prairie fire said. Councillors voted unanimously to extend the Royal Mayfair Golf Club’s lease until 2069.